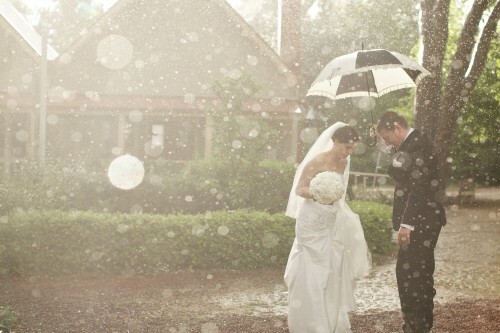 Rain on a wedding day by most is seen to be a bad thing, trying to keep a giant white dress white is hard enough without adding water and mud into the equation. But personally I don’t really mind the rain because sometimes it brings about some magical images. You may remember a couple of weeks ago I blogged about giving my shoes to a bride and getting wet feet. Well at the time I’m pretty sure the wonderful Bronwyn & Ben thought I was a little crazy making them walk through muddy puddles, but now seeing this image hopefully it will all make sense. Thanks for being such good sports guys and going along with my eccentric behaviour!